Tony Brown, Aff.M.ASCE, spent 10 years in safety with heavy construction companies and 25 years with EPA and the Occupational Safety and Health Administration Construction Directorate. Since retiring, he has continued consulting and working with construction and the crane industry, and is active on the ASCE Construction Institute’s Construction Safety Committee. He is a former chair of CI/ASCE’s Crane Safety Committee. When OSHA released the revised Crane Standard 29 CFR 1926.550 in November 2010, the decision was made to delay implementation of the provision for certification of crane operators until November 2014, and then, again, until November 2017. During this three-year period, OSHA held several stakeholder meetings to clarify a number of issues, primarily involving types of certifications issued and use of the National Recognized Testing Lab (NRTL) for testing proximity alarms. OSHA proposed revision to the standard requiring certification by type and capacity, but ran into a problem because only two of the four recognized certification organizations followed this requirement. The other two bodies certified by type only. During this final review of a new proposed certification requirement, OSHA realized it had little to no enforcement authority mechanism to cite an employer for any violation of the standard if the operator was certified by one of the certifying organizations. This, primarily, is the basis for OSHA requesting a further delay in the effective date for the certification of crane operators until November 2018. The efforts to address the qualifications and ability of crane operators began in 1989-90 with a tower crane accident in San Francisco. The crane was being “jumped” – raised to a new height – when it fell onto the streets of San Francisco. Members of the jumping crew were killed and there were minor injuries on the ground. A section of the crane fell onto a school bus, but fortunately the students had been discharged earlier and the driver only sustained minor injuries. Because a school bus was involved, the news covered the event extensively. One reporter asked an OSHA investigator what kind of license the operator had and the compliance officer replied that our standards did not require a license. She responded, “You mean my hairdresser has to have a license and a crane operator doesn’t?” Well, you can imagine the outcry from everyone, including the White House. OSHA was immediately tasked with finding out what national requirements existed for crane operator license or certification. What we discovered was that only a few states had any kind of license or permit requirements for crane operators. Some localities relied on union apprenticeship programs and their operator license programs as proof of operator qualification. The states that did have a permit program had a process similar to that of building permits, with self-assessment of qualification and payment of a fee. There were two attempts in the next few years to form committees to evaluate what was needed to assess operator qualifications. Each of these committees tried to address this challenge but soon disbanded due to lack of real interest. 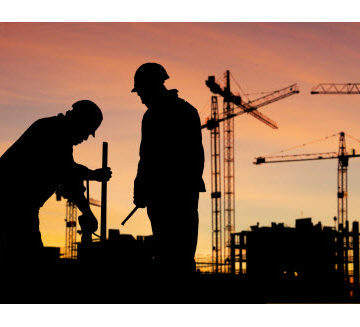 OSHA then joined forces with the Specialized Carriers and Riggers Association and the International Union of Operating Engineers and Crane Manufacturers to develop criteria for assessing operator qualifications that could be implemented on a national basis and transferable nationwide among all companies. They put together the first certification program that was universally recognized, and OSHA developed and issued Letters of Recognition to help put emphasis on the importance of attaining this certification. At the time, it was believed this new certification would be an indication of an operator’s ability to operate a crane within the parameters of the requirements of certification. 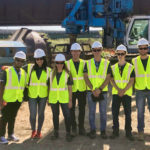 The measure also lessened the company need to provide paperwork outlining each operator’s training history, which is usually reviewed by compliance officers performing an inspection or investigating an accident. It did not replace a company’s responsibility; it simply confirmed that a crane operator was tested and had successfully passed a written and practical exam verifying that s/he was capable of operating a specific crane or group of cranes covered by the certification. As this certification program became more successful, it became apparent that the old crane standard needed to be updated to address modern crane operations and crane operator certification. 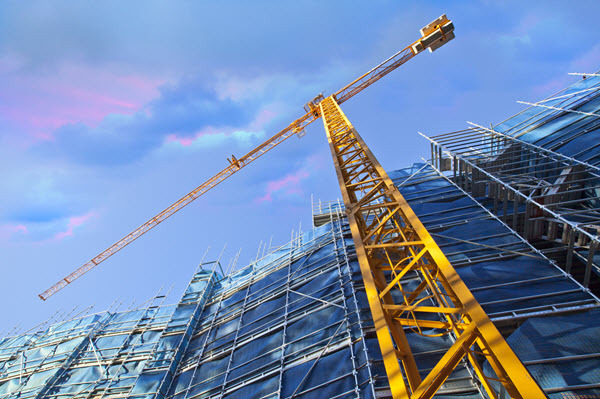 A broad-base committee was formed by government and industry experts to develop a standard that addressed the needs of both government and the crane industry. The Crane and Derrick Advisory Committee (CDAC) developed a new, extensive crane standard that became effective in 2010, except for the operator certification issues, which we are still discussing. Fortunately, I do believe the November 2018 date will be met and, finally, crane operator certification plus employer responsibilities will be part of the full crane standard, to be used and complied with by the construction industry and, hopefully, by general industry. I expect OSHA to resolve the certification issue either by saying the crane operators must be certified by a recognized testing organization, or by modifying the requirement by stating certification by type and capacity or type. The key is that each of the four organizations comply with its respective accreditation organization, which has thorough testing criteria. Whether the certification is by type and capacity or simply by type should not make a difference to OSHA because the criteria for gaining accreditation are extremely difficult and expensive. Thus, OSHA should simply require that certifications be issued by an organization that is nationally accredited. It has been a long road but I see light at the end of the tunnel. I have been involved directly with the whole process of operator certification from the beginning, as I reviewed the industry after the San Francisco crane accident and chaired the first crane committee back in the 90s. I also represented OSHA on the SC&RA committee and drafted the original OSH Recognition letter for Operator Certification. I spent most of my career on the crane standard and am happy to again say that I see a conclusion with issuance of a complete crane standard in 2018. I also congratulate all those who have worked over the years on this monumentally important standard for the construction industry. Hopefully we can celebrate and pop a bottle of champagne next November. Very important issue. At the moment I work in Georgia and face so many problems with Mobile Plant, especially with cranes. Most of them are too old with outdated certificates, licenses etc. Cranes operators? Similar story: too young and inexperienced or seniors unwilling to comply with HS standards.